WyoFile editor-in-chief Dustin Bleizeffer discusses an oil and gas rule revision, and the history of the coal-bed methane gas boom and bust. Why doesn’t the oil and gas industry have to live up to the same standards applied to other industries? In a hearing that lasted nearly 4 hours on Tuesday, the OGCC staff laid out why Patriot and High Plains are not deserving of another chance. 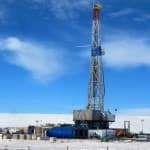 Wyoming oil and gas regulators are under pressure to finally take action against broke, out-of-compliance coal-bed methane operators.